SysInfoTools for OpenOffice Writer Recovery is advance Writer Recovery tool that scan the corrupt ODT files and recover data from Corrupt ODT files. 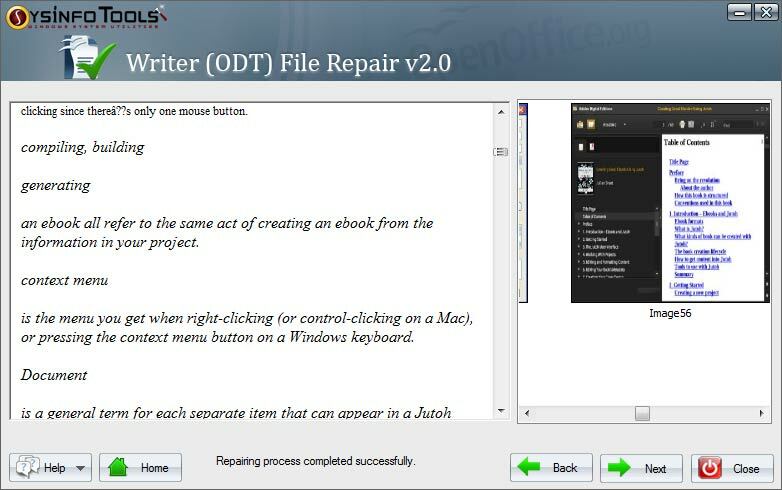 Writer recovery software repair corrupt, damage and inaccessible ODT presentation file and created a new working ODT files and save recovered data to new working ODT files. Very easy to use with user friendly interface.